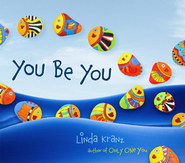 Linda Kranz is the author of Let's Rock: Rock Painting for Kids, which won the IRA Children's Choices Award, as well as the best-selling Only One You. Just like Adri, Linda loves to explore. She encourages everyone "to find their passion and do what they love!" We all can be creative in our own unique way. Linda lives with her husband in Flagstaff, Arizona. Youngsters will enjoy the catchiness of the text and the lively nature of the illustrations, while appreciating the concepts found within....A good choice to help children consider similarities and differences. The combination of the colorful, jewel-like objects and affirmative messages is likely to make this book as popular as Kranz’s first, which has a loyal following. You Be You brings a whole new level of excitement to painted rocks. A rounded, smooth rock is a limited canvas, but Kranz’s design and the variety of patterns on the rocks makes the book worthwhile before you even read a single word. I looked through the entire book and marveled at the painting and design before I went back to read it. 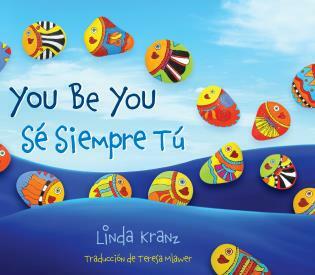 With its universal theme that life is the greatest journey of all as well as its celebration of the differences between all creatures, You Be You offers a positive message to readers of all ages. In addition, parents can share with their children the homilies featured on the endpapers and children can search for Adri swimming among the other fish. 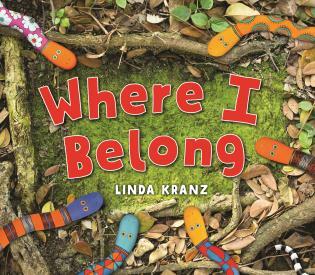 These features, plus Kranz’s whimsical illustrations, ensure that You Be You will be an instant favorite of young and emergent readers or anyone looking for a little encouragement during trying times. With its strong positive message, You Be You is an ideal choice for parents to read to young children at storytime or bedtime. ...[A] fun book with a valuable lesson. Named one of Huffington Post's 50 Inspiring Children's Books with a Positive Message. 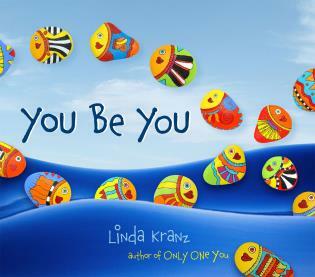 A companion book to the bestselling Only One You, Kranz once again uses her famous "rockfish" to express the themes of diversity, individuality, and acceptance to children. When Adri sets out to explore the ocean, he has no idea how colorful the world is. He quickly discovers that there are all kinds of fish in the deep blue sea—big and tiny, smooth and spiny, colorful and plain, different and the same. Join Adri as he travels the ever changing currents of the ocean and see if you can find your favorite rockfish among the waves!